An art gallery is staging a display of pictures showing fractions – and want your help arranging them on the walls from lowest to highest. Five brackets on the wall await pictures to be hung on them, and it’s just up to you to work out the right order. After you place a fraction, you can move it around to other brackets, so if you aren’t happy with the first placement, you can amend it afterwards. The fractions can range up to double digits, so recognizing which is the greater can be a task suitable for kids in grades four and five. 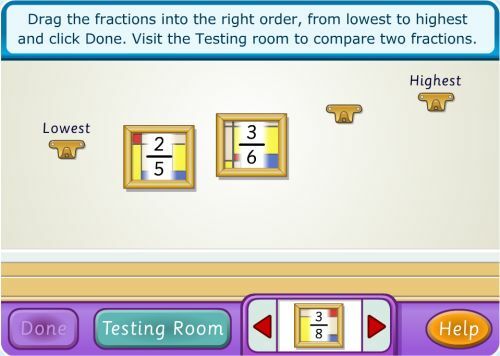 A testing room is also available where you can use charts to get a visual demonstration of the size of each fraction. 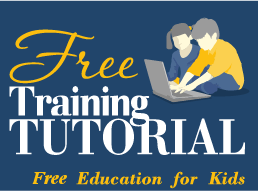 When you’re happy with where each fraction is placed, click the Done button – and see if you got the right answers, then test yourself again with a different set of numbers!